Mobile App Re-Engagement: What are the Effective Strategies to Retain and Re-Engage App Users? Mobile app statistics by Localytics have it that only 40% of mobile apps are visited more than 11 times. To put it in black and white, most users jump out of the wagon soon after their first visit. Let’s face it app abandonment is inevitable with many contributing factors. However, there is hope thanks to re-engagement strategies used by mobile app developers. Not all app owners are familiar with this. Little wonder they are struggling to have active users. It’s on this premise that we come forth to elaborate on some of the top strategies for re-engaging app users. It’s simple. The list below entails re-engagement strategies which have been used, approved and integrated by the crème in the industry. So let’s go right into it. In a platform with millions of users, it is easy to miss out on the right audience. Take your time to research on your target market. This is made easier if you have set specific goals for your app. However, the main focus should be the users who have abandoned the app or are inactive. To attract the right crowd, app owners are urged to make use of mobile analytics. This is because it pinpoints all users visiting your platform. The interesting bit is that it also gives the location where the most and least traffic is coming from. To some extent, app developers lose out on users due to lack of a clear target group. This leads to deviation of first-timers who find out that the app doesn’t work for them. Subsequently, having the wrong crowd may cost you in terms of bad publicity. This shouldn’t come as a shock given the lucrative nature of the industry. 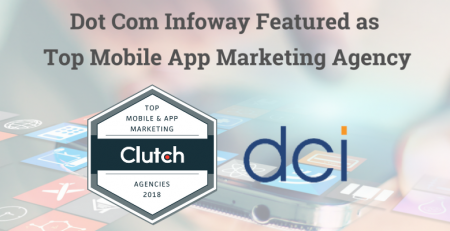 In short, a comprehensive analysis and survey should drive the right audience to your mobile app. Do you ever wonder the type of reaction your app solicits on users? Well, always ask yourself this question. At times, you might have an amazing app but fail to actively engage your users. There are multiple ways to keep your users actively engaged. The most basic channel is the opt-in push notification on mobile apps. Its working principle is similar to a text message as it pops on the display of the mobile device of the users. For example, notify your users on new music releases to solicit for downloads or views. As you include push notification make sure that you don’t overdo this as it may annoy users. Resist the urge to include irrelevant information and use of multiple opt-in notifications. Additionally, it’s helpful if you give users the liberty to turn on and off these notifications. Take your time to study your users as it enables you to understand first-timers from dormant users. The essence of doing this is to allow you understand the appropriate timing and methodologies of engaging with the users. The success of any app is either attracting new users or activating dormant ones, this requires the use of intense app marketing strategies. One of the channels is the media (print, social, visual). The best way to go about it is using the platform where the user first heard of the app. It may be Twitter, Facebook, Instagram or any other well- known social site. This is a more guaranteed way of getting in touch with users who haven’t been using your app. At the end of the day, it’s prudent to be aware of the most useful strategies that will increase your viewership among users. Make your app available on search engines and App stores results such as Google, Google Play. The best way to handle this is to implement structured App Store Optimization and Link building for the app. By doing this, you make your app more visible for the focused keyword query. Having this makes it more visible in the search results. Information such as user ID, mobile advertiser ID, and email address can be harnessed for Re-engagement activities. 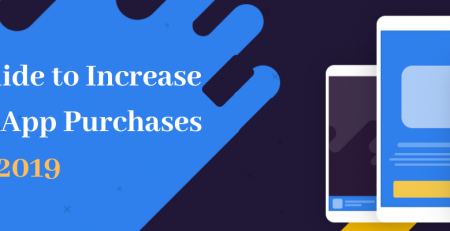 Re-engagement ads have been enhanced and optimized to target the previous app users and help reacquire them. For those with the financial muscles, don’t hesitate to involve the mainstream media to run your ads. The good thing about this is that it’s able to reach a wider audience. Nonetheless, it shouldn’t be lost to you that advertising is costly and calls for a strategic approach to achieve the desired outcome. Remember retaining and re-engagement is no mean task. To understand this phenomenon we are going to use the search web in the sense that it involves using URL to link content. Traditionally, users were re-directed to the search and browse page. This was frustrating and consumed a lot of time. However, with deep linking app developers and makers are capable of taking users to the desired app screen. So what are the steps of deep linking? First, pick keywords that you are going to use for linking. This will be done through research and evaluation of your app to determine most suitable words. Then select the precise app screen to link your users to. Once you’ve done this then your app has succeeded in deep linking. One benefit of deep linking is that it’s time-saving. This is because it immediately delivers the needed results. It further promotes app quality and user conversion rates. If you get this right, then deep linking is bound to re-engage your lost users. Apart from user re-engagement, deep linking aids in retaining users on your platform. This is a simple process that entails app developers following on the actions and steps undertaken by users as they use the app. What do you achieve through tracking? Well, you are able to spot app screens that are favorite among users. Apart from this, tracking highlights the conversion as well as the diversion points for users. Armed with this information, app developers should be in a position to work on their strengths and weaknesses. After identifying these points, you can introduce adjustments that will motivate users to proceed from where they left off. One way of adjusting is by including salient features on the app screen or do away with some of the obstacles. This implies that you’ll have to keep re-evaluating this until the desired result is achieved. Interestingly, app tracking allows app developers to list all users who have downloaded the app. This is useful in knowing the numbers of users who have left or revisited the app. 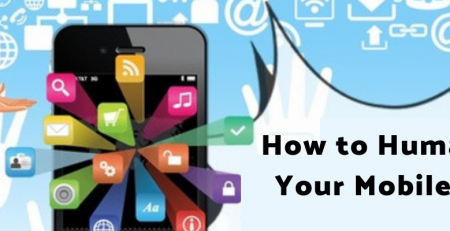 Mobile app marketing KPIs are important in gauging the success of your app marketing campaign. 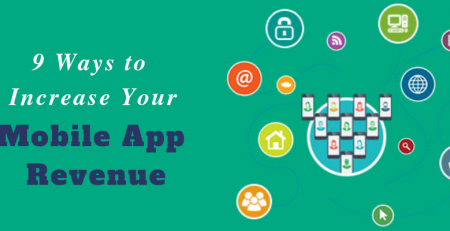 This app marketing guide will discuss the KPIs and metrics that can help you analyze the success of your mobile app in order to maximize your app revenue. Social media offers a platform where online users post almost anything they wish to have out there. This extends to achievements made on various apps. For example, a fanatic of Candy Crush may take a screenshot and post the high score. It’s such trivial things that count a lot for users and so should you. Go the extra mile and customize your mobile app to allow for convenient social sharing. As you go about this, make sure you include a section featuring the common social media sites. It is important that you integrate the most recognized social sites to capture the audience. Public Endorsement– Since social media reaches out to millions of people you stand a better chance of attracting more viewership through testimonials from satisfied users of your app. More Feedback– You get more response from users. Constructive criticism that may give insights on the blind spots of your app. Attract users for Free– This is one of cheapest ways to sell your product with the minimal cost incurred on influencers. Encouraging Immediate Usage– Once a dormant user comes across your app on social media it might trigger him/her to re-use the app ASAP. The app share extension should either feature at the bottom or come in form of a notification. Some of the common social media apps include Facebook, Twitter, Instagram, Wechat among others. Aside from social media, there is the email which has over 2.5 billion users. As you share your app strive to interact with the users. This move will aid you to retain users and put you ahead of other brands who neglect posts. At the end of the day, effective communication is what determines whether users stay or not. What better way to retain your users than through tailored rewards! If you’ve never done this then its high time you do. When you offer specific rewards you motivate and entice users to visit your app. This mostly applies to gaming apps where you can give credit and ‘lives’. You may also reward via discounts to the detached audience. To keep all app users active, developers are expected to add a personal touch to their product. How do you do this? The answer rests on studying and monitoring user behavior and habits. Nevertheless, app owners can be innovative and come up with interesting gifts in different fields. Uber’s free- ride for first-timers being a case in point. App developers should also try to localize their content. This makes it popular with the majority of the target group. Consequently, the developers should perform revenue and profit evaluation prior to issuance of rewards. This is to ensure that the overall outcome is profitable. Always endeavor to keep your users in a jovial mood. That means that you have to go through the feedback section and redeem your app to align with their comments. Your choice of words as you respond to disgruntled users has the potential to build and at the same time ruin your brand. Additionally, this technique uplifts your customer care services. This translates to more app ‘visits’ and usage. Make sure that you refrain from the use of harsh words on you’re the feedback section. This is because users feel discouraged during interaction and will likely drop off. If you’re selling certain products on your app, you may opt to include a ‘remove feedback’ button. This will allow users to retain positive outcome while doing away with unwanted information. Subsequently, ensure that you minimize app crashes. From our research, we’ve noted that users are turned off by an app that crash unexpectedly. This is just one of the many tactics you can apply to solicit positive feedback. Most of the common apps are visited by thousands or millions of users daily. To keep all these app users active, developers are expected to add a personal touch to their product. How do you do this? Just study and monitor user behavior and habits. Some of the metrics looked at include; user peak times, retention rates, app ratings and feedback. While at it, make sure that you are creative. App developers may include a demo to show users how to maneuver through the app. App developers can also use characters that are known among users. This may require you to localize your app to hit this mark. Aside from the mentioned re-engagement strategies others include: – social acknowledgment, online interaction with users and evaluation of why users halt from using the app. In case you are uncertain or unfamiliar with how to go about personalization then don’t hesitate to reach out to the nearest expert. In summary, app developers and owners should be relentless in keeping tabs with their users. As much as they invest in attracting more users, it makes no sense if they are unable to retain. That’s reasoning enough for you to fully embrace mobile re-engagement strategies to stay above the rest.